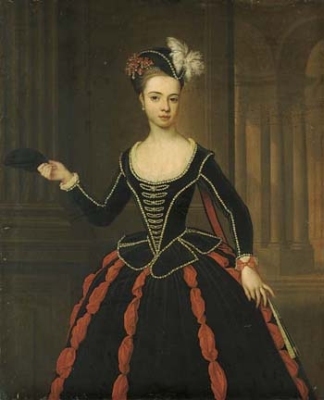 Armand Nompar de Caumont, Marquis de Monpouillon married Amelia Wilhelmina van Brederode, daughter of Johan Wolfert Heer van Brederode 7th Vrijheer van Vianen and Louise Christine zu Solms-Braunfels. [S1258] Anton C. Zeven, "re: Marquès van Monpouillon," e-mail message to Darryl Lundy, 2 February 2005. Hereinafter cited as "re: Marquès van Monpouillon." 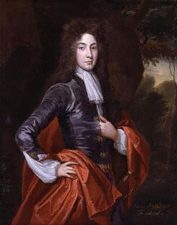 Sir George Paulet was the son of John Paulet, 2nd Marquess of Winchester and Elizabeth Willoughby. He died in May 1608 at Londonderry, County Londonderry, IrelandG, murdered. He held the office of Governor of Londonderry. Richard Paulet is the son of John Paulet, 2nd Marquess of Winchester and Elizabeth Willoughby.